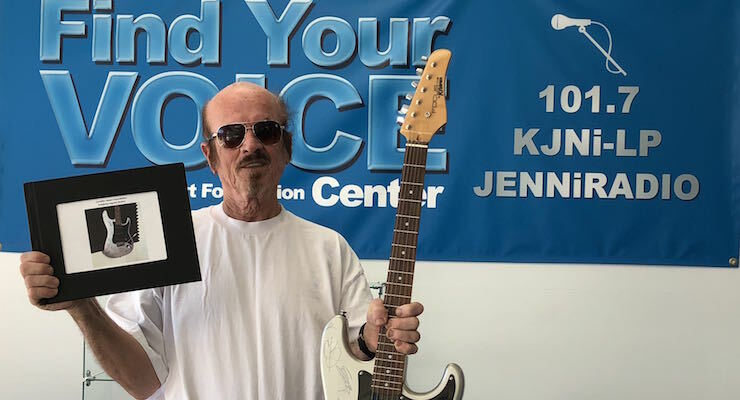 Steve (pictured) won the big prize – the guitar that was signed by Weird Al, Olivia Holt, Tim Urban, Ochoa Boyz and more. It was accompanied by a photo book, showing all those who signed it. Dale won a Coleman portable Powerchill cooler. Desiree won a vintage-style portable record player. Linda won a movie star photo collage on canvas. Congrats to everyone, and thanks for your support!